Michael C. Steward, a native of Mississippi was born August 1, 1968, in Holly Springs, Mississippi, to Eugene Sr., and Ellie B (Reaves) Steward. He grew up in Benton County and attended school in Ashland, Mississippi. Pastor Steward was baptized in 1983 by the late Pastor Adam Gholson and became a member of Union Hill Missionary Baptist Church. He was very active in church, as he attended Sunday School regularly and sang in the church choir, eventually becoming choir director. In November 1987, Pastor Steward joined the United States Navy. He retired November 2007 after 20 years of honorable service. While on active duty, in 1996, Pastor Steward married Lyndora A. Brown. Together they have five children and one grandchild. In January 2003, he accepted his calling from the Lord into ministry. In July 2013, Pastor Steward was called and appointed Pastor of Pilgrim Lodge Missionary Baptist Church (Centruy, FL). Under his leadership, with direction and guidance from the Holy Spirit, the church has grown spiritually and physically. Several ministries were birthed and are flourishing. 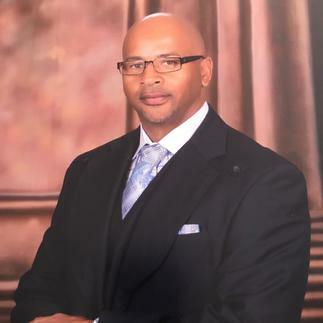 He is a graduate of Florida Apostolic Bible College and Vocational Institute with a Masters Degree in Bible Study and is currently pursuing his Doctorate. A favorite scripture of his is Matthew 5:6, "Blessed are they which do hunger and thirst after righteousness, for they shall be filled."